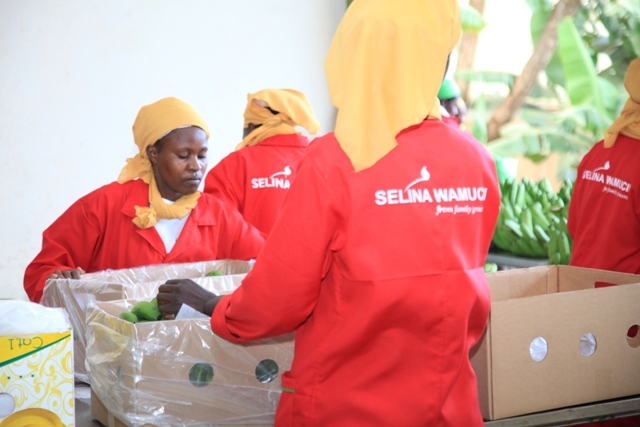 October 24, 2017, Nairobi, Kenya.The journey of Selina Wamucii, the company taking smallholder-sourced fresh produce to local and international markets has this year reached a major milestone by partnering with 3,156 smallholder farmers across Kenya. According to the company’s Co-Founder and Chief Operating Officer, John Oroko, the Mobile phone has been a key enabler in building a more transparent and efficient supply chain for smallholder -sourced fresh produce. Selina Wamucii buys produce from the farmers, grades it and sells to vendors and distributors both locally and globally. The farmers join Selina Wamucii via USSD on their mobile phone. 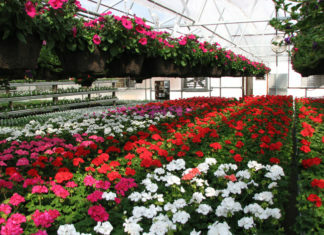 “Our system maps out all the farms indicating produce type, the exact location of the farm, availability dates and projected volumes during the growth period. 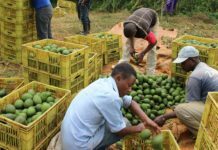 The farmer is automatically paid by M-PESA and a traceability code generated on the spot once the produce is keyed into our system.”, says Oroko. “We are using the mobile phone to shorten and transform the agricultural supply chain while passing the benefits of an efficient chain to both the farmers and fresh produce buyers. We are currently able to service orders in less than 48 hours meaning a client can place an order today and in the next 48 hours, the produce is in Heathrow or Amsterdam” adds Oroko. Delivering high quality smallholder-sourced produce to local and international businesses while passing as much value as possible to the smallholder farmers and reducing wastage along the supply chain remains the company’s key mission. “Since our founding in 2015, a lot of effort has gone into streamlining the functioning of the unorganized agriculture segment in order to generate better and efficient operations along the entire supply chain when sourcing from smallholder farmers”, says John, a trained engineer by profession who comes from a 4th generation smallholder family. 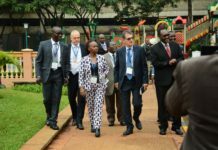 Kenya’s agri sector is mainly dominated by small scale farmers and the startup’s focus is to use technology to comprehensively solve problems facing smallholder-sourced produce: poor earnings for farmers, lack of steady market, difficulties meeting market-driven standards and inefficient logistics along the agriculture supply chain. “By using technology to shorten and transform the supply chain, we are making it sustainably profitable to source fresh produce from smallholder farmers while meeting market demand. So far we have made tremendous progress in using technology to efficiently integrate smallholder farmers into local and global supply chains with very impressive results. 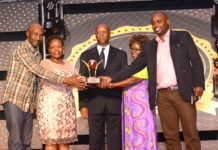 Currently, Selina Wamucii has achieved less than 10% post-harvest losses in its supply chain, down from 40 – 45% that is generally the range of post-harvest losses across smallholder-sourced produce in Kenya. We have managed to achieve what was unthinkable just a few years ago – using technology to make sourcing from smallholder farms be in harmony, just like when sourcing from one huge farm “, Says John. Fresh produce supply chain is one of the last frontiers that technology hasn’t tackled yet and the company is confident that this won’t be the case for long. Selina Wamucii uses a combination of smart logistics and a mobile -based technology platform to create a dependable and efficient supply chain that makes it profitable to source from small scale farmers. The company now has its eyes on scaling its service offering across the rest of Kenya, followed by East Africa and then West Africa. Great work Selina is doing. I farm apple mangoes in Kilili Makueni county and me and my neighbors will be very happy to work with Selina. Welcome to Kilili. Really like the fact that there is this start-up coming with a new concept to source produce from farmers by taking advantage of the mobile phone. This is the way to go and a game changer in the industry. Great job Selina. Keep moving!